The glider in the southern Gulf of St. Lawrence has been monitoring Right Whales in that area for nearly three months now, and it has been a fascinating survey. A North Atlantic right whale makes its characteristic V-shaped blow while swimming in the southern Gulf of St. Lawrence. In our last glider update, I told you how the glider was near the shelf-break where large ships transit out of the St. Lawrence River, a prime spot for ship strikes to occur. However, the glider didn’t hear many Right Whales out there, so we moved it down south to where Right Whales had been documented from aerial surveys. 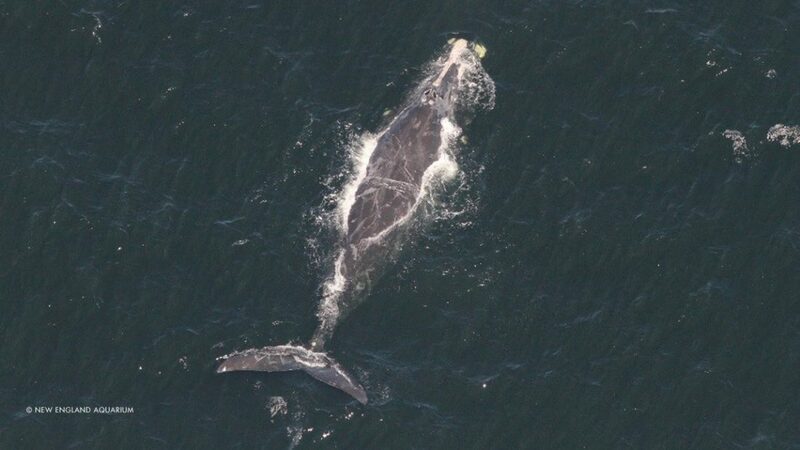 Aerial surveys use onboard observers to visually scan an area to record whale presence within a planned survey route. Almost immediately, the glider began recording Right Whale upcalls (listen with headphones to hear the calls more clearly). Upcalls are a contact call made by all Right Whales, which they use to say ‘hi’ to one another. But we found it curious that the airplane observers were seeing dozens of whales, like the one pictured below, whereas there were only a few upcalls a day being recorded by the glider. 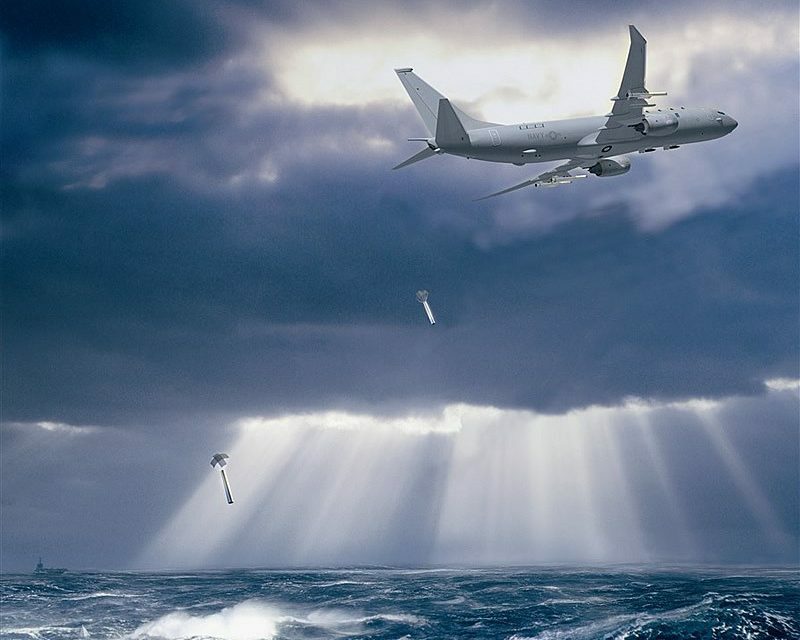 A U.S. Navy airplane dropping sonobuoys. Sonobuoys listen for sounds underwater and broadcast those sounds over radio, so a circling airplane can listen to and record underwater sound. 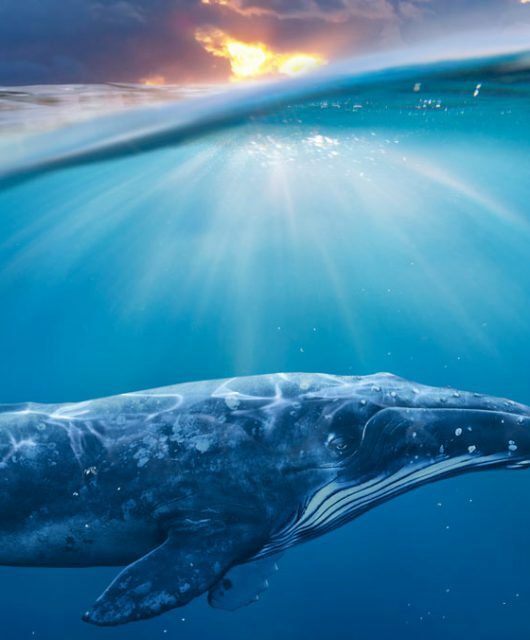 For three days, the whales, sonobuoys and glider were close together and recorded upcalls, as well as gunshots – which is a mating sound produced by male Right Whale – and also other curious sounds that we aren’t too sure if Right Whales are making, or if they might be made by other species. Now, with this dataset, we will be able to do an in-depth analysis of the frequency and types of sounds that Right Whales are making in the Gulf. Meanwhile, back in Halifax, the issues that Right Whales have been facing in the Gulf have dominated the media, and I have done several stories about the issue. Look to last Friday’s issue of Science magazine for a story about the science behind this conservation emergency.